Words, words, everywhere, and most of them are foreign. Wait . . . what was that? That’s right; most of the words we use in English came from other languages. Look at the humorous quotation in the box above that shows how English borrows words from other languages, and we’re not finished yet because the English language is diverse and ever changing. 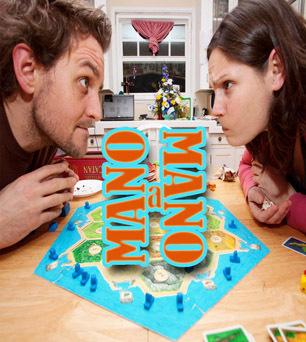 New words are introduced through technology, slang, politics, and culture. Every year, in fact, we use new words and slowly leave older words behind. It’s the blending of the old and new that’s fascinating about the English language. In this lesson, you will learn the meanings and origins of 20 foreign words and phrases. It may seem like an overwhelming number of words, but some may already be familiar; you just didn't realize their origins. Other words may be new to you, and that's OK. You can impress your friends and family by using them. Think about what you already know about foreign words and phrases. You probably know some words like prima donna, nemesis, or karate. These words originated in another country but were embedded into English. When you come across a foreign word while doing reading for your classes, there are usually clues such as accent marks, italics, or even asterisks to tell you to look at the bottom of the page for a definition. Most writers will also provide hints about the meaning of foreign terms through context clues. If you’re still stumped about the meaning of a word after studying the context surrounding it, you can look in a dictionary to learn more. Follow this link to learn more about clues to foreign words and phrases. In this lesson, each foreign word will be introduced with text, an image, and an audio pronunciation example so that you can understand the many aspects of the word. The audio pronunciations use Merriam-Webster’s phonetic pronunciation guide. Try saying the word two to three times using the audio to guide you. Sound out each word or phrase. It’s OK if you can’t pronounce a word right the first time; after all, the word is from a different language. You should also compare the pronunciation from the audio to the word’s printed pronunciation key to learn exactly how to say a word and to make connections between unfamiliar word constructions and sounds. Each word’s printed key breaks it into syllables and shows you where to place emphasis when you speak. an example sentence that demonstrates the word's usage in context. 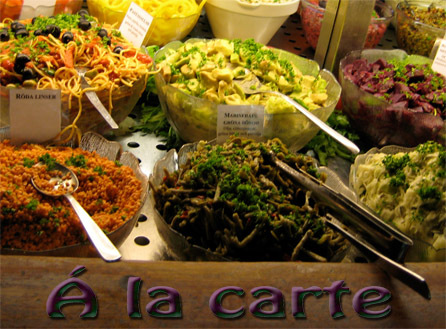 Take a moment to read and study the example word, á la carte, below. How it’s used: Describes food ordered one item at a time; for example, the “biggie breakfast special” might come with two eggs, bacon, hash browns, and orange juice for $6. If you weren’t very hungry, you might order just the eggs á la carte for $3. Example: I don’t want the combo dinner, but how much is a taco á la carte? Let’s test what you have read so far. Using your notes, write your responses to the two questions below. When you are finished, check your understanding to see a sample response. 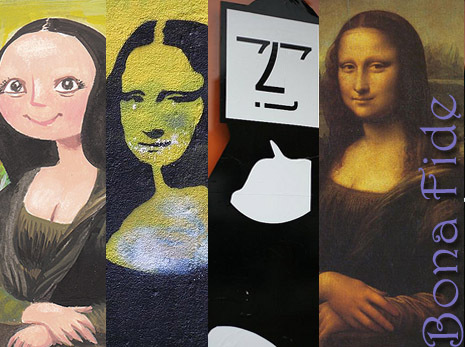 When you are reading, what are the visual clues that might suggest a word is foreign? What is another way to tell if a word originates from another language? Knowing how to identify, pronounce, and define foreign words and phrases will help you in many classes, including history, economics, and English. 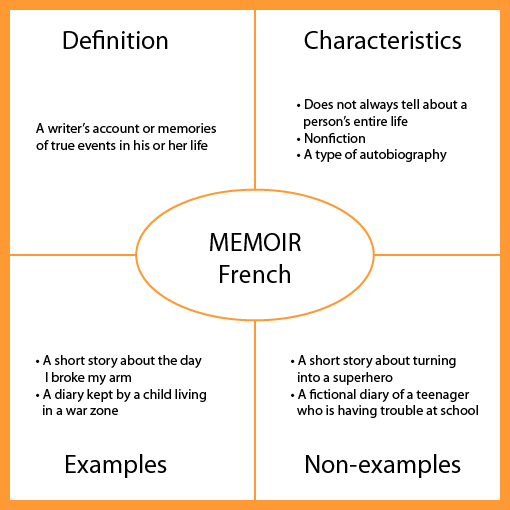 Many French words, for example, are used when you study writing and film. It’s important not to skip over foreign words while reading. Take the time to find out their origins and meanings. What foreign words and phrases do I already know? How will I know when I come across a foreign word? Where can I look to find the definition of a foreign word or phrase? How can I use this information in my other classes or in real life? 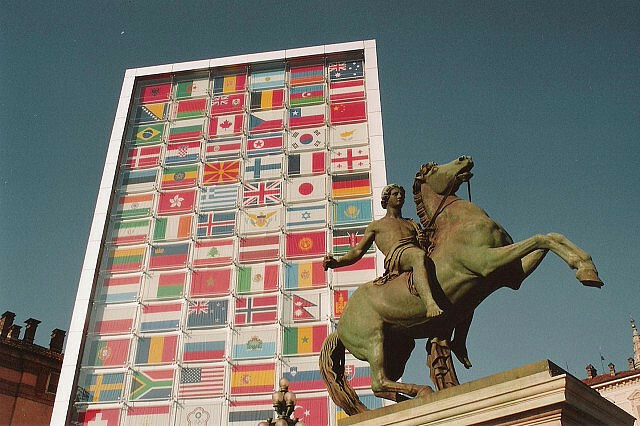 Source: “La torre delle bandiere e il Dioscuro” (Turin Olympic flags), Davide Galimberti, Flickr Source: a la carte, ?? Latin has been the most important source for English vocabulary. As much as 17% of our active word stock is Latin. The first words loaned from Latin to English occurred during contact between the Romans and the Germanic tribes and through the adoption of Christianity and the translation of religious and literary texts from Latin into Old English. During the Renaissance, Latin was an active second language for many educated people. Even in modern times, Latin has remained one of the most common sources of English borrowing. English has traditionally borrowed Latin words and phrases from specific contexts such as law, religion, and science. As that exposure to Latin diminishes, so does the rate of borrowing. Now that you know how Latin was introduced into the English language, it’s time for you to learn some words and phrases. Draw on any prior knowledge you may have from reading, movies, music, or just life in general, as you read each Latin word or phrase. 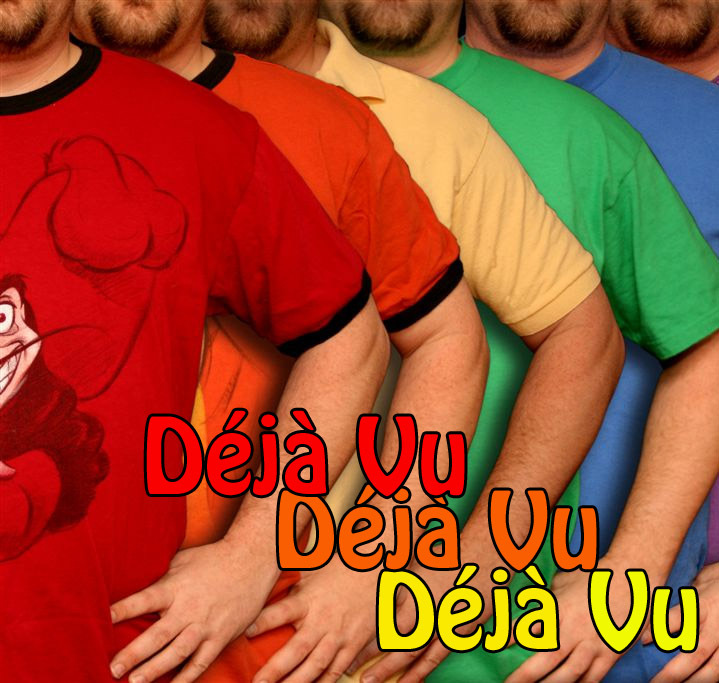 Click the pronunciation links to hear each word and then try to say it. The picture is meant to be a visual representation of the word or phrase, but keep in mind that it’s just one possible representation. You are encouraged to find or draw your own picture to help you understand the meaning of each foreign word or phrase that you encounter in this lesson. How it’s used: Something given or received for something else; trading goods and services. This phrase is a legal term, often used to describe something traded for something else. Example: We agreed to a quid pro quo: I take care of their dog next weekend if they mow my lawn before they leave. How it’s used: Once something has been purchased, the seller is no longer responsible for the item. It makes good business sense to do research, read the fine print, and make an informed decision. This phrase is often used in real estate and real estate law. Example: When I tried to return an MP3 player that didn’t work, the salesperson cited caveat emptor as a reason to examine products before purchasing them. 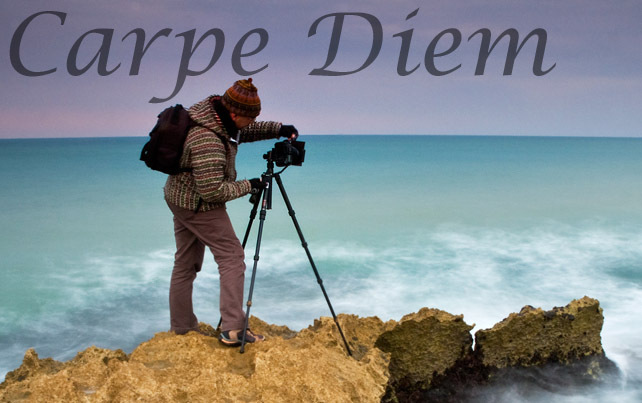 Example: After years of being afraid to bungee jump, Susan yelled “carpe diem!” and leapt toward the gorge. 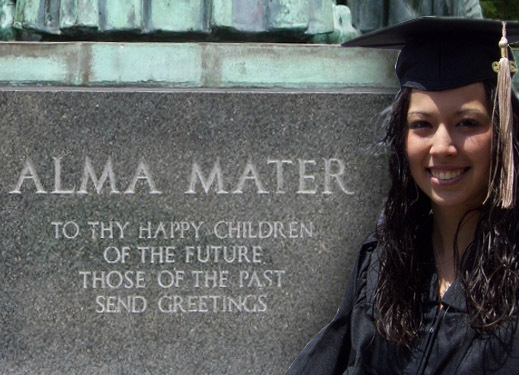 How it’s used: Alma mater is used to refer any school, college, or university that someone has graduated from. Sometimes it refers to a school song. Example: Laura Bush, Roger Clemens, and Matthew McConaughey all call The University of Texas at Austin their alma mater. How it’s used: It means “the way things have always been.” To maintain the status quo is to keep things as they are, to avoid change. 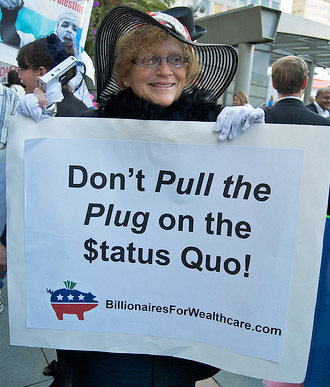 Example: It’s easier to maintain the status quo than to work to make a difference. 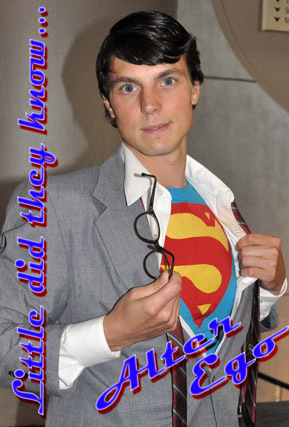 How it’s used: Alter ego suggests a second self, an alternate identity, or the opposite side of someone’s personality. Example: Bruce Banner becomes the Incredible Hulk when he loses his temper, much in the same way that Dr. Jekyll assumes the alter ego of Mr. Hyde. How it’s used: It indicates sincerity, honest intention, or something that actually is true to its representation. Example: A jeweler certified that the pearl necklace was bona fide before Jill sold it to Kenny. How it’s used: This term is generally found in statistics in lieu of “per person.” Per capita suggests that something is equally applied to each individual. Example: Each person in Switzerland consumes 22.7 lbs. 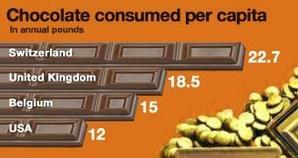 of chocolate per year, giving Switzerland the highest per capita rate of chocolate consumption worldwide. For the activity that follows, see if you can choose the correct Latin word or phrase for each blank. Take your time and refer back to the charts as many times as necessary. How did you do? 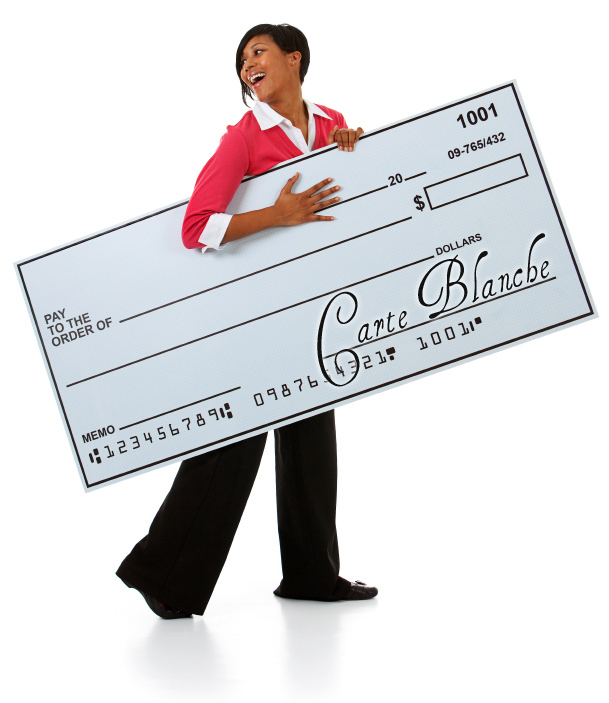 Did you give yourself “carte blanche” to have fun? You’ll learn about “carte blanche” in the next section, but remember that when you come across a word you don’t know, look it up in a dictionary. The more you read, the greater your fluency will be. 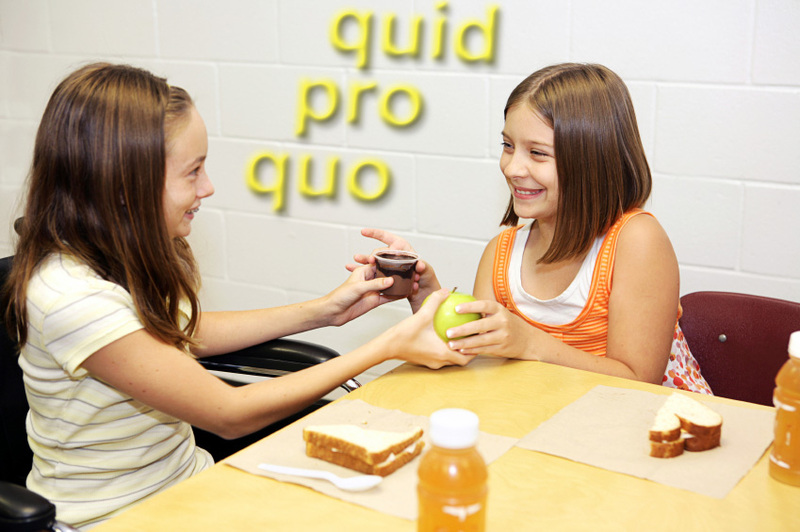 Source: Girls swapping lunch, iStockPhoto Source: "OK Used Cars,” original image by rjs 1322, Flickr Source: “Carpe Diem,” Arnaldo Gutiérrez, Flickr Source: “Alma Mater” from images by Char Newcomb and OZinOH, Flickr Source: “Don’t pull the plug on the Status Quo!” Steve Rhondes, Flickr Source: Superhero, Mark H. Anbinder, Flickr Source: Cartoon Mona Lisa by Mike R. Baker, Graffiti Mona Lisa by nozoomii, emoticon Mona Lisa by Byron Manley, Flickr. Today’s vocabulary is about 45% French origin. More than 10,000 French words were borrowed during the Middle English period. French was the principal language of culture and civilization in the eighteenth and nineteenth centuries in Europe. French words and phrases are often perceived as elegant and educated. Now that you know how French has influenced English, study each word that follows and try to pronounce it. It may take you a couple of tries to sound out the words or phrases, but the links to the pronunciations will help you. How it’s used: Giving someone carte blanche suggests that they have full authority to make decisions. Giving someone a signed blank check with the amount left blank implies the same thing; you completely trust that person to make decisions. Example: Jackie’s parents gave her carte blanche to buy anything she wanted. How it’s used: Broadly, a tête–à–tête describes a private conversation between two people. The word suggests that the conversation might be secret, intimate, or even romantic. 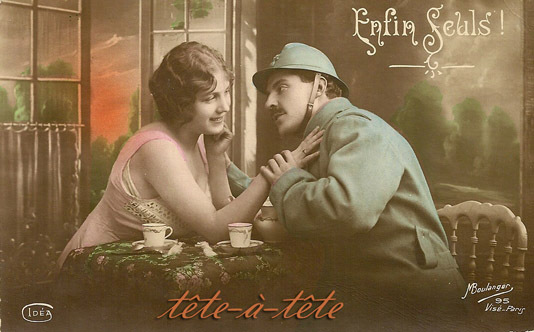 Example: The quiet café’s private little room was a perfect place for a tête–à–tête. How it’s used: The term describes a moment in a ballet, movie, or show when a couple performs an intricate dance. In the same way that a guitar solo shows off the guitarist’s skill, a pas de deux can literally put two dancers in the spotlight. As a metaphor, pas de deux might describe any complicated interactions between two people or groups, like the give-and-take between Democrats and Republicans in Congress. Example: In the ballet’s ballroom scene of Romeo and Juliet, the two main characters performed a pas de deux in which time ceased..
How it’s used: A cheerful phrase that’s said to someone who is about to enjoy a good meal or—if you want to be ironic—about to eat a very bad meal! 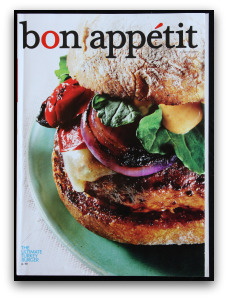 Example: After grilling a thick and hearty burger, Joe served it to Henry and said “bon appétit!”. How it’s used: A strange, eerie feeling of having already seen, heard, or done something, even when you know you haven’t. Example: Although I’d never been to Balmorhea, Texas, I couldn’t shake the feeling of déjà vu. For the activity that follows, see if you can choose the correct French word or phrase for each blank. Take your time and refer back to the definitions above as many times as necessary. After Latin and French, the English language was enriched by German, Greek, Spanish, Italian, Japanese, Sanskrit, and Yiddish among many others. The following words represent a small sampling of the words that have been embraced by English. Again, try to sound out each word and use the accompanying audio link to help you. 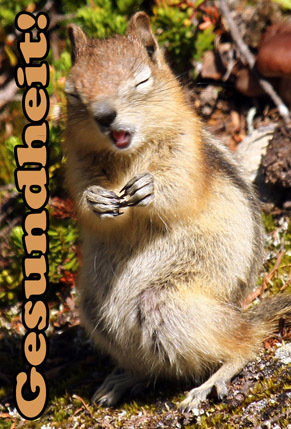 How it’s used: This term is like saying “bless you.” Gesundheit is a wish of good health for someone who has just sneezed. Example: Everett says gesundheit after anyone sneezes–even in a movie theater. How it’s used: In ancient Greece, hubris was considered a crime. Anyone who outrageously abused wealth or power might be accused of hubris. Now it’s used to describe arrogance, exaggerated pride, and too much self-confidence, especially when prideful behavior leads to a downfall. 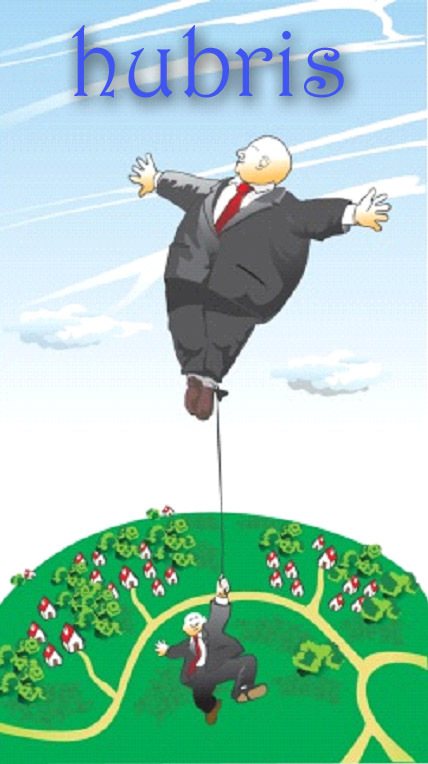 Example: The businessman’s failure was brought on by his hubris. He considered himself far too important to be arrested. Example: A boxing match is the ultimate mano a mano competition with nothing between the two fighters but their boxing gloves. 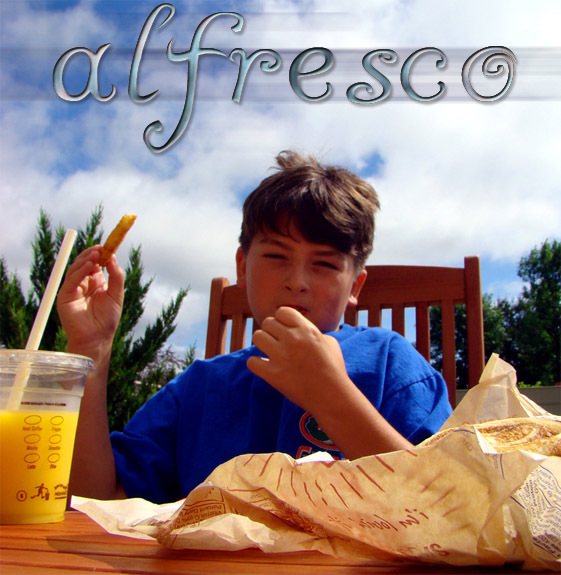 How it’s used: This term describes something that takes place outside in the open air, most often eating outside, as in a picnic or on a restaurant’s patio. Example: Dining alfresco in the Texas summer can be a bad idea because sometimes the heat melts the dishes. 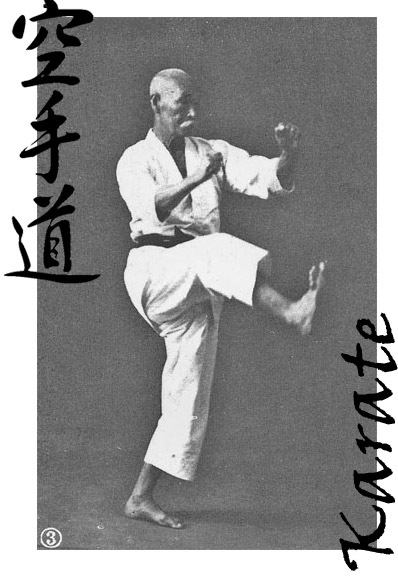 How it’s used: A Japanese art of self-defense employing hand strikes and kicks to disable or subdue an opponent. Example: Dean wanted to learn karate not only for self-defense, but also to get in shape. 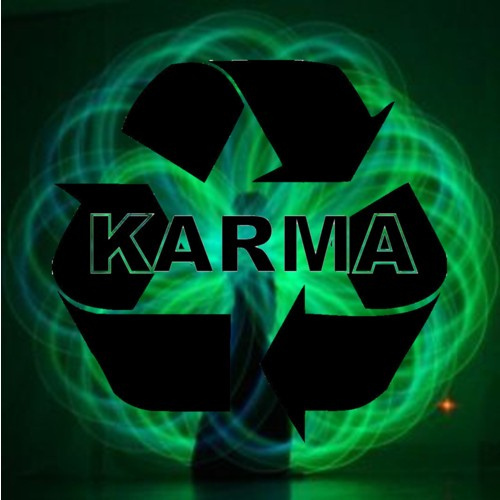 How it’s used: A hard-to-translate word borrowed from Buddhism, karma implies “what goes around comes around,” or “do unto others as you would have them do unto you.” It assumes that good and bad actions have consequences, but we may not always experience them immediately, or even in this lifetime. You might have heard of “good karma” and “bad karma”—good deeds or bad deeds that pile up a kind of energy that can come back to a person later. Example: Angel believes that helping other people in need will produce good karma. For the culminating activity, choose two words from this section and explore them more deeply. You will use a graphic organizer to record your answers, but first look at the following example and the word memoir. is a form of autobiography because it’s an account of an important time in your life. You have now completed the lesson on origins and meanings of foreign words and phrases. Remember that when you come across a foreign word or phrase—which is likely since a majority of the words in the English language come from Latin or French—take time to look up the origin and meaning. It may take you a while to get used to looking up words and may seem distracting to your reading, but with practice and experience, your knowledge and fluency will improve. Are you interested in learning about the Spanish influence on the English language? Check out this link to several alphabetized word lists. “Foreign Words and Phrases.” (PDF). Cambridge University Press. “James Nicoll - Wikipedia.” Wikipedia. Updated October 3, 2013.